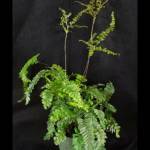 These small to medium sized tropical ferns are for low light areas. 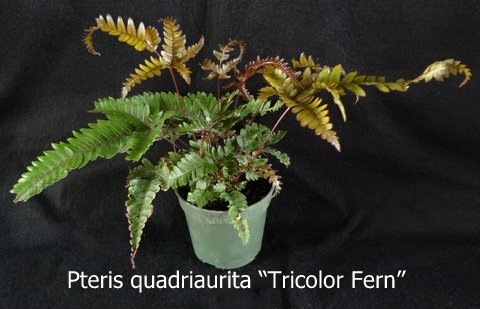 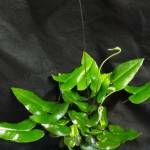 With their beautiful colors and interesting shaped leaves they would be the perfect addition to any living wall or animal terrarium. 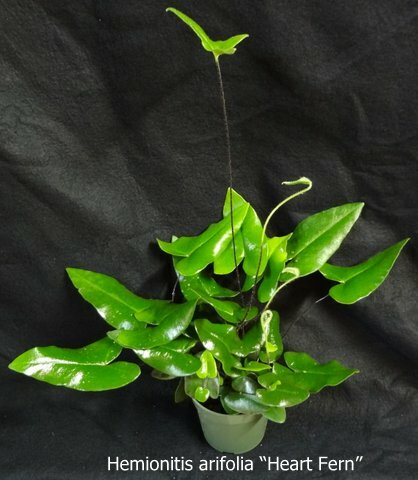 They love humid areas with lots of shade. 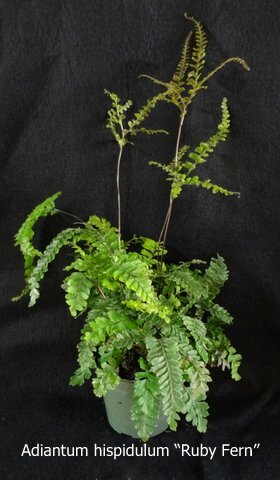 Keep them away from cool dry weather and they should thrive. 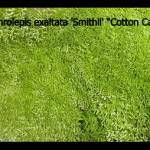 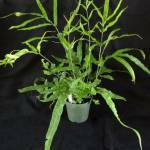 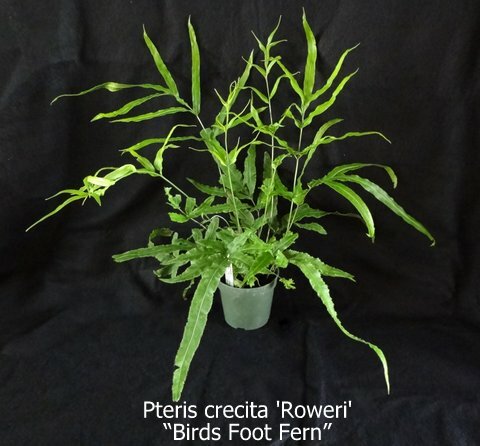 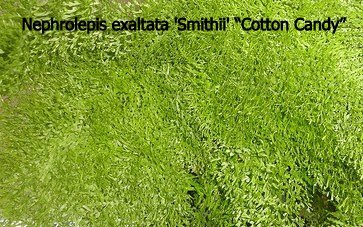 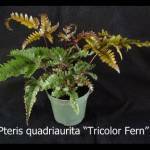 Nephrolepis exalta 'Smithii' "Cotton Candy Fern"
Pteris crecita 'Roweri' "Birds Foot Fern"